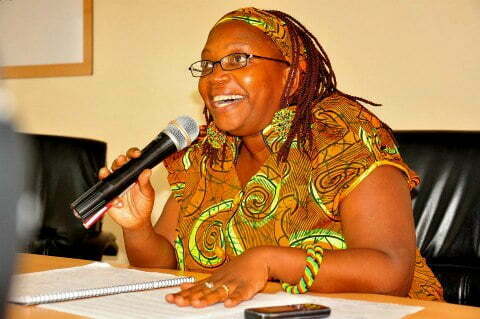 Makerere University Research Fellow, Dr. Stella Nyanzi. Courtesy Photo. Police is holding controversial Makerere University Research Fellow, Dr. Stella Nyanzi, at Kira Police Division following her arrest Friday evening, Kampala Metropolitan Police spokesperson Emilian Kayima has said. Nyanzi had just addressed a Rotary Fellowship Mackinon Suites in Nakasero, Kampala before she was picked up by plain cloth officers of the Criminal Investigations Department (CID). Kayima says Nyanzi is being charged with Cyber harassment, an offence provided for under Section 24 of the Computer Misuse Act 2011 and Offensive communication contrary to Section 25 of the same law. Kayima says Nyanzi went overboard in her communication on social media. He says Nyanzi will be able to access her lawyers and family members but not journalists as she enjoys speaking to the media. According to Kayima, Nyanzi is expected to appear in court on Monday. He could not, however, mention which court specifically. Kayima says there is no problem with the manner in which Nyanzi was arrested. He says the officers who arrested her clearly identified themselves and Nyanzi herself was aware she was being investigated. When asked about evidence, Kayima says the police have enough evidence and it will be upon court to look at it as a case or not. He says some of the witnesses will be people who have read Nyanzi’s posts or seen them on Facebook. Nyanzi will now spend the weekend in police custody. When asked why she was arrested despite her compliance to heed to police summons, Kayima said Nyanzi was continuously posting bad information on social media. On why Nyanzi was arrested despite several other people posting explicit content, Kayima stated that this is only the beginning and maybe the law is beginning to bite. He says other people who misuse social media might face the same fate of Nyanzi. He says it is not a case of selective prosecution, adding that journalists should also be mindful when reporting on social media. Nyanzi has in the last three weeks been using social media to criticize the First Lady and Minister of Education and Sports, Janet Museveni, for her stand on government’s failure to avail sanitary pads to school-going girls. She also faulted the minister for being out of touch with reality for suggesting that parents should avoid using motorcycles to transport their children to school. Using sexual innuendos, Dr. Nyanzi has for the past two weeks been posting strongly worded messages on her Facebook wall criticizing government policies. Her main target has been Education Minister Janet Museveni, who was on March 30th forced to break the silence and react to Nyanzi’s attacks. 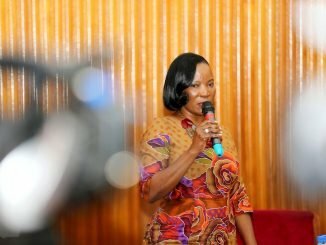 In an interview with local station NTV, the First Lady said she had forgiven the social media critic. 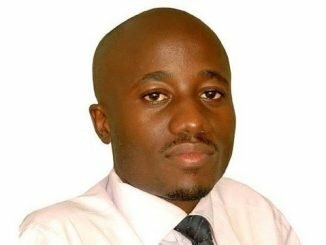 “I have received reports about Dr Stella Nyanzi insulting me. 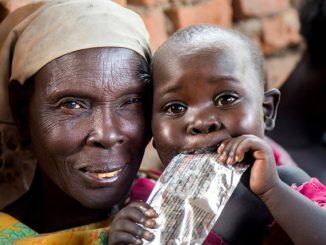 I want to tell Ugandans that I forgive her,” she said. Nyanzi hit back saying that instead of offering to forgive her, the minister should fix the problems the government she serves, headed by her husband, has failed to address. Section 24(1) of the Computer Misuse Act, 2011 provides for a fine of up to 1.4 million shillings or a three-year imprisonment, or both, for any any person who commits cyber harassment. The section defines cyber harassment as the use of a computer for purposes of making any request, suggestion or proposal which is obscene, lewd, lascivious or indecent; threatening to inflict injury or physical harm to the person or property of any person; or knowingly permit any electronic communications device to be used for any of the purposes mentioned in this section. Section 25 provides for a one-year prison sentence or a fine not exceeding 480,000 Shillings, or both, for offensive communication. In Uganda, a currency point is twenty thousand shillings.